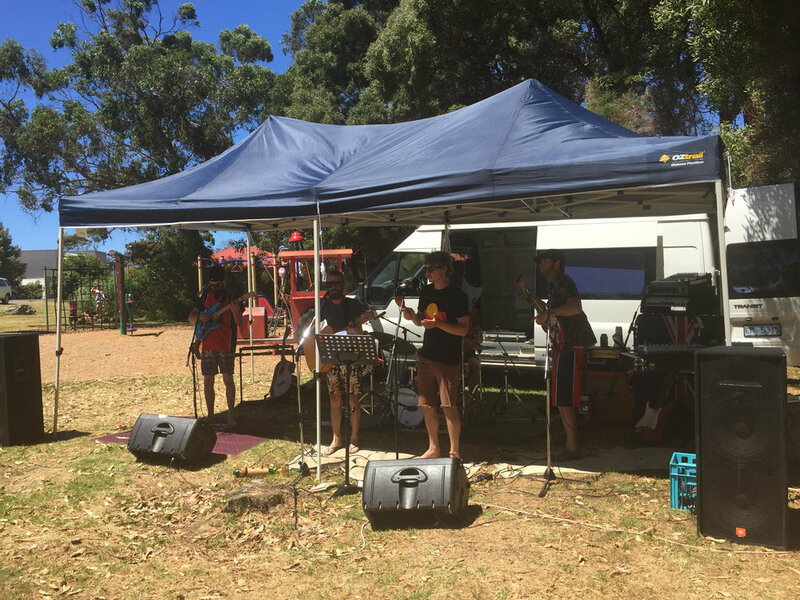 The event, organised by the Sisters Beach Community Association, saw live music by local band Redneck Roadshow who played for 2 1/2 hours with their awesome repertoire of originals and cool covers. The Stall Holders had a good day selling everything from clothing to green slime. Kids were entertained with the giant Jumiping Castle Slide, Face Painter, Sponge Throwing and Bubble Station while parents and others sat under shady trees enjoying the music. The SBCA food stand was flat out all day selling out of sausages, burgers, veggie burgers and Potato Tornadoes. The day was capped of with the Colour Fun Run, after a quick water bomb war about 60 kids took off around the 3km course copping coloured powder at the 5 colour stations and a dip in the creek to wash and cool off after crossing the finish line.